LONDON – JUNE 5, 2018 – Dojo by BullGuard (https://dojo.bullguard.com), a market leader in consumer cybersecurity, today announced the launch of its Dojo Intelligent IoT Vulnerability Scanner, a free-to-use mobile app that scans all of the IoT devices connected to your home Wi-Fi network – laptops, web cameras, smart locks, smart alarms, Philips Hue Lights, Amazon Echo, the router and more – and detects which IoT devices are at the greatest risk of cybersecurity flaws. Available on iOS and Android, the Dojo Intelligent Scanner app performs security risk assessments by scanning and analyzing vulnerabilities at the device level, and then provides a Network Security Score that predicts the likelihood of a significant breach in the user’s Wi-Fi network. How the Dojo Intelligent IoT Vulnerability Scanner app works. 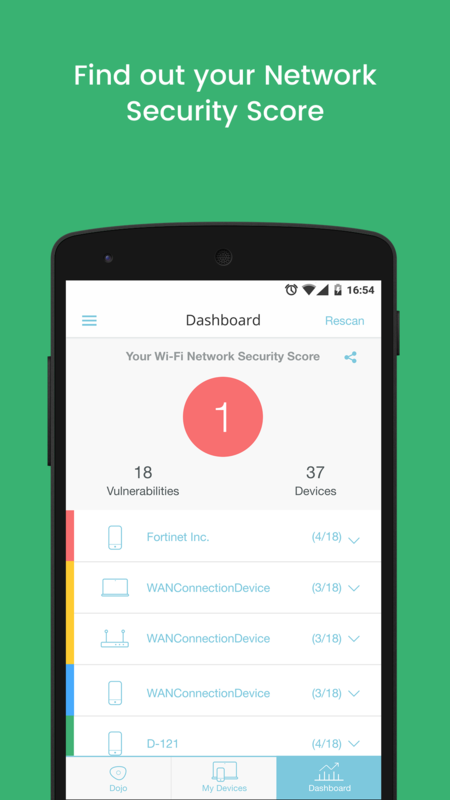 •	Automatic Device Discovery: The Dojo Intelligent Scanner (DIS) app scans the user’s home Wi-Fi network without having to install any software or connect any devices to their router, and uses combination of both local and cloud-based intelligent detection engines for fast and accurate device discovery. 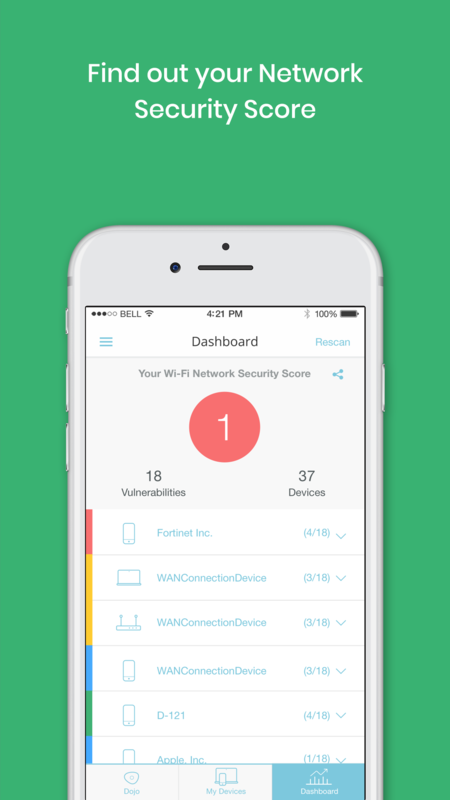 The app provides the user with full visibility of their home network by identifying all connected devices on their network and provides the user with a comprehensive view of his/her Wi-Fi network and all its connected devices. •	Network Security Score: The DIS utilizes Dojo by BullGuard cloud based security risk assessment platform to analyze vulnerabilities at the device level, and following each full network scan, displays the vulnerabilities and an overall score (10 being the best and one being the worst).